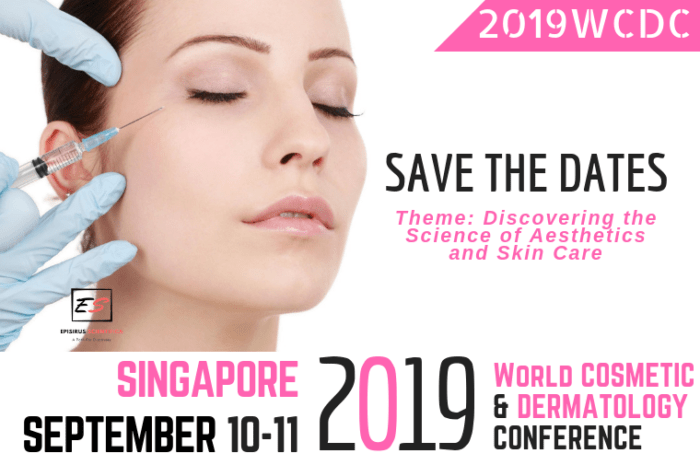 The 2019 World Cosmetic and Dermatology Conference (2019WCDC) is going to be held at Singapore during September 10-11, 2019 around the theme ‘Discovering the Science of Aesthetics and Skin Care. 2019 World Cosmetic and Dermatology Conference (2019WCDC) is a premiere educational Dermatology Event in the field of Cosmetology and Dermatology that rotate between continents and are organized in collaboration with national and international Cosmetology and Dermatology societies and associations. The World Cosmetic and Dermatology Conference is targeted to the international Aesthetic, Cosmetic and Dermatology community as well as other healthcare professionals involved in multidisciplinary skin care; thus, enabling professionals from worldwide to exchange their views on a wide variety of topics affecting skin and those suffering from skin disease around the world. 2019WCDC exists to advance the science and art of medicine and surgery related to the care of the skin, nails and hair. 2019WCDC works with many other organizations to achieve its aims of supporting patients and improving standards. Apart from medical dermatology, 2019WCDC is also widely focusing on cosmetic skin problems and aesthetic procedures. This International Cosmetic and Dermatology Meet (2019WCDC) anticipates hundreds of participants including keynote speakers, Oral presentations by renowned speakers and poster presenters besides delegates around the world. This conference perhaps a giant event that creates an ideal platform to share expertise addressing current advancements involved in Cosmetology, Dermatology and Healthcare. It will be a wonderful opportunity for all the participants as it provides an international networking opportunity to collaborate with the world-class industry professionals and Medical Associations in the field of sustainable cosmetics and dermatology. Dermatologists are specialized in the treatment of skin conditions such as eczema, acne, skin infections, psoriasis, skin cancer, skin allergies, hair loss, and nail issues. Dermatologists also treat all sorts of cosmetic problems and provide skin care advices for healthy skin. Special treatments are also done by dermatologists and cosmetologists like: surgery for skin cancers and precancerous skin diseases, intensive pulsed light (IPL), radio-frequency therapy, laser therapy, radiofrequency therapy, hair transplantation, and filler injection. Advance the education of physicians and other professionals in the care of patients with skin diseases and cosmetic surgery. 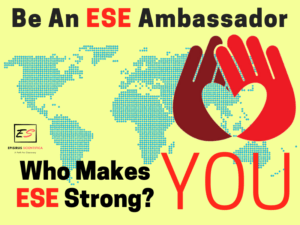 To attain the best possible skin health for all people around the world. Support the development of clinical and medical research on Cosmetic and Dermatology. Provide a platform to present new ideas and treatments for Cosmetic and Skin diseases. Join interactive sessions including keynote speeches, session speeches and panel discussions to debate on future challenges and opportunities in the natural cosmetics market and skin care. Discover best practices from natural and organic cosmetic ingredients manufacturers, brands, cosmetics distributors, and global authorized certification bodies. Most countries in the world now offer access to medical education. 2019 World Cosmetic and Dermatology Conference provides a platform to encourage prevention and control of health against dermatological disorders and focuses on cosmetic skin problems and aesthetic procedures and provide access to the world education.